The high quality grillz teeth are 24K white gold plated. It is made to ornament the teeth with shiny white gold. The imported quality grillz teeth set contain two extra molding bars so you can easily fit according to your mouth and jaw size. The set also includes the manual, which gives you the ultimate instruction for easy fitting the White Gold plated Grillz teeth. You just need to hit order now at here. Your ordered grillz teeth set will come to you through Amazon online shopping in Pakistan. You can also easily pay cash on delivery for better convenience. 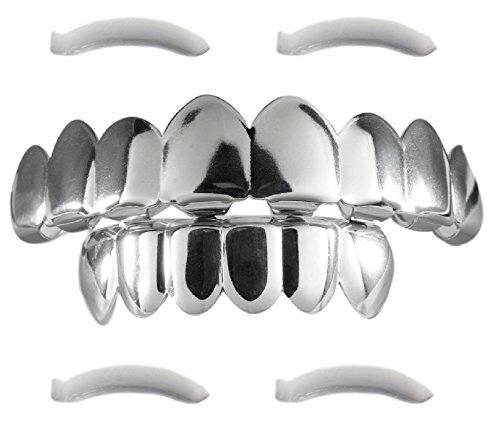 Premium 24k White Gold plated grillz - More shine than a 14K gold plated set!